Nokia Malaysia have just confirmed that their second 6-inch Windows Phone device – the Lumia 1320 – will be made available in our market starting from 17 January onwards. The price for the device has been set at RM 1199. From the price itself, one might be able to deduce that the Lumia 1320 is a budget-oriented 6-inch Windows Phone device as opposed to the high-end nature of Lumia 1520. 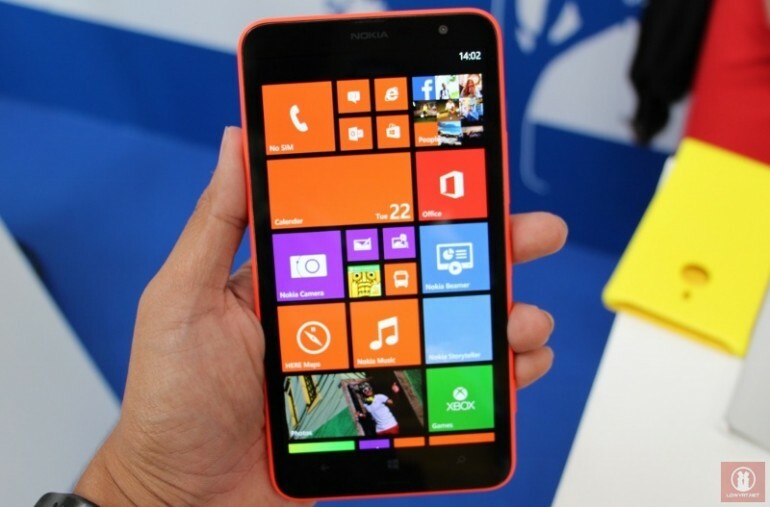 Apart from its 1280×720 6-inch display with Gorilla Glass 3, the LTE-enabled Lumia 1320 is also equipped with a 1.7GHz Qualcomm Snapdragon 400 dual-core processor, 1GB of RAM, 8GB internal storage, and 5-megapixels rear camera. Just like previous Lumia devices, our own Storekini will also be having pre-order program for the new Lumia 1320. Stay tuned for further info on that in the subsequent post but at the mean time, do check out our first hands-on experience with the device during our time at Nokia World in Abu Dhabi last year.